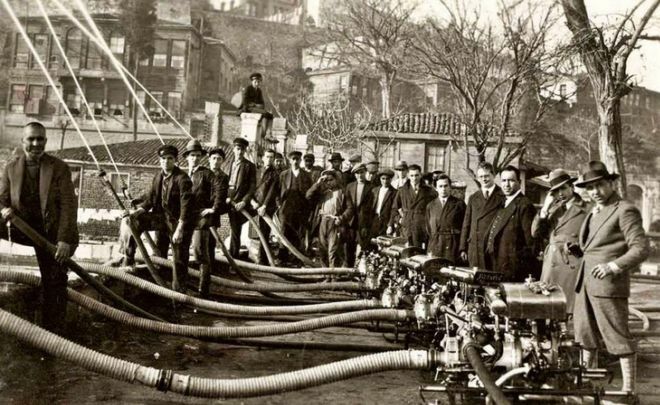 Firefighters and municipal workers inspect the new water pumping system in Istanbul, Turkey in 1931. 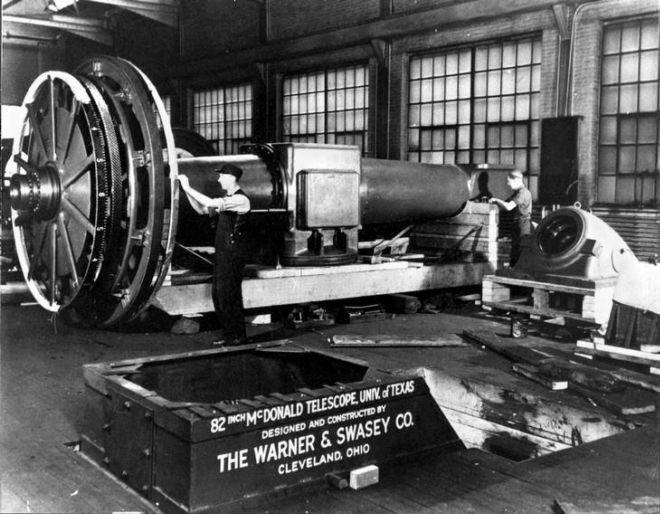 Construction of the Strobe telescope at the McDonald Observatory at the University of Texas, USA in 1935. 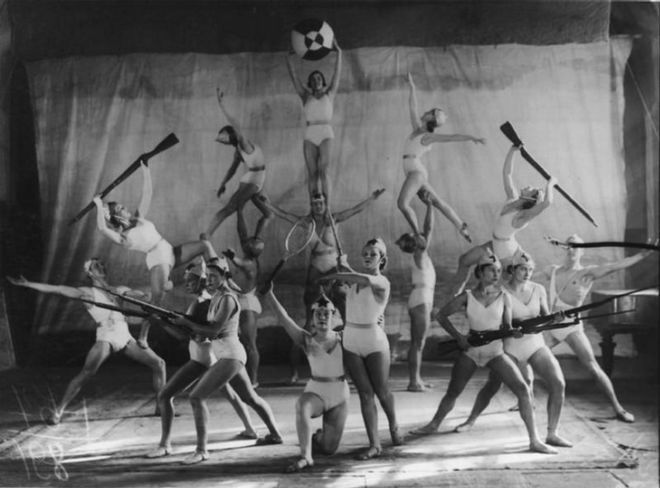 Photograph of acrobats showing the strengths of the Soviet Union in 1934. 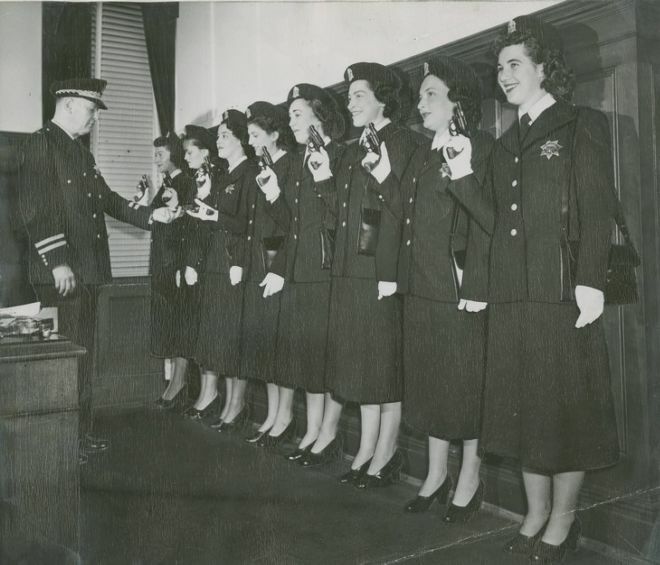 Female police officers receiving their firearms in San Francisco, California, USA in 1949. 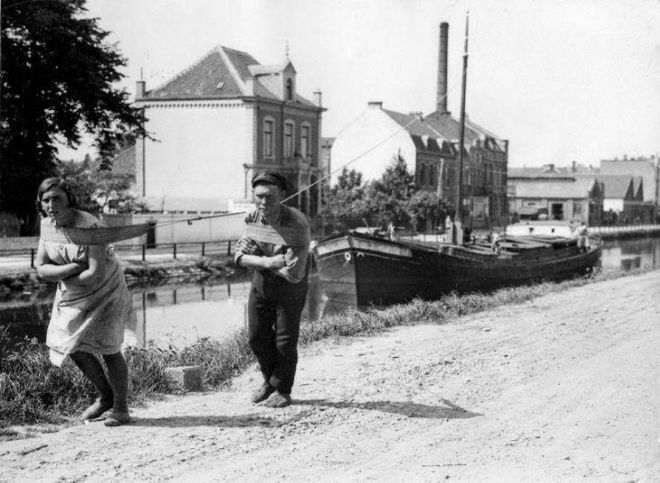 A man and woman hauling a cargo boat in a canal in the Netherlands in 1931. 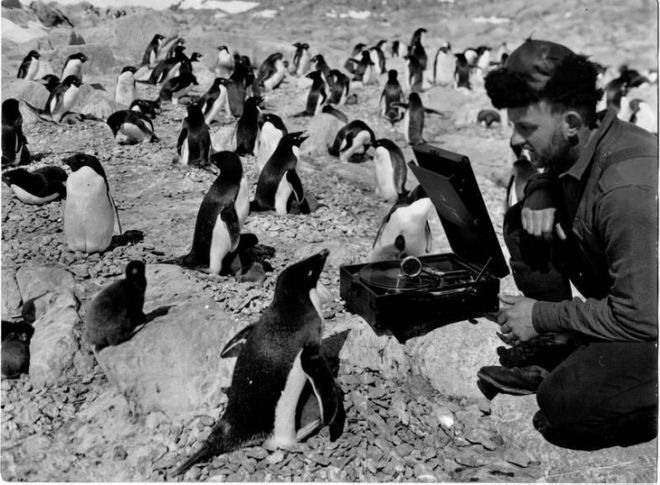 Australian Air Force squadron officer and member of the English-Australian-New Zealand research team Eric Douglas plays the phonograph for penguins in Adele, Antarctica in 1931.